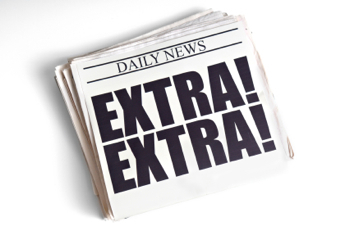 August 1, 2014—Here is what’s new in education news this week. Education Week takes a look at a new ranking system, the Educate to Career (ETC) College Rankings Index. In this index a school’s value is determined by how its students fare financially after completing their degree. ETC worked in conjunction with Job Search Intelligence to complete the index. A similar list was released by Money magazine, reports The New York Times. Babson College topped the group for financial value, which covers issues such as how much students will pay or borrow to attend and the worth of a degree in today’s job market. Princeton Professor David A. Bell talks college rankings in New Republic, suggesting that, despite the positive differences between rankings by Money and U.S. News and World Report, both have significant issues. Each may incite unhealthy decision-making and competition from universities to boost scores, he says. The Chronicle of Higher Education’s Eric Hoover also weighs in cautiously. “Money reaches for objectivity,” he writes, but does not agree that they have fully achieved it—or that any list can, for that matter. Twenty-two-year-old Practice Makes Perfect co-founder Karim Abouelnaga explains how his program aims to close the summer achievement gap. Check out this Q&A with Karim in The Atlantic. Delve into the world of Native American collegians on NPR with post-doctoral researcher Adrienne Keene. This Q&A covers Keene’s blog, her work with the Native college admissions nonprofit College Horizons, and her struggle of “feeling like an imposter” on campus. We are also pleased to share articles featuring Undergraduate Transfer Scholar Nada Omer and Jack Kent Cooke Foundation grantee the University of Connecticut Neag Center for Gifted Education and Talent Development.